Danny Johnson, a writer whose career never materialized, moves with his wife and children to Cascade Falls, a water-filled, golf community in the bone-dry desert outside of Phoenix. Grudgingly going to work for his father Ted, the Elmer Gantry of home development, Danny’s quest for stability ultimately comes up short. His marriage begins to fray and the housing market goes bust, forcing him and those around him to examine their lives anew. 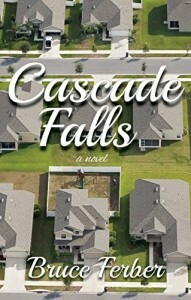 Cascade Falls exposes the desperate price paid for sacrificing who we are for how and where we live. ← Scooter & Skipper Blow Things Up!